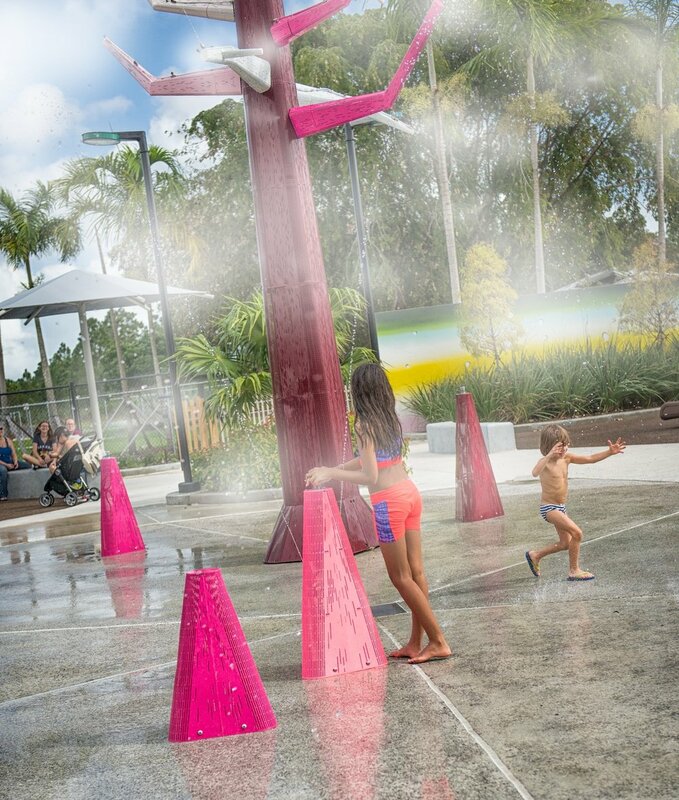 Cypress Landing, the new children's play area at Zoo Miami, includes the 32' tall misting and water-showering Cypress tree, Cypress knees, a 150’ mural (by Diana Kingsley), and the concession stand, playgrounds, landscaping and design of the entire 10,000 sq. 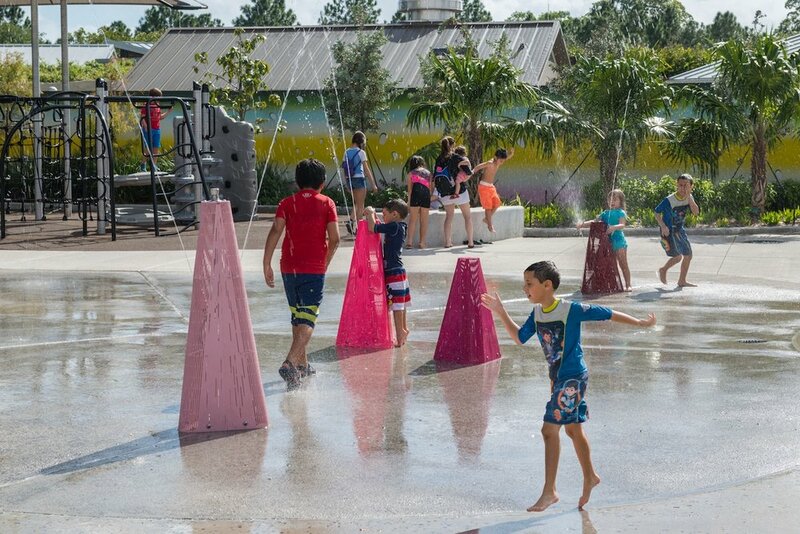 ft. children's play area. Three of the knees have push buttons that each operates two water nozzles in the tree such that water streams down through the mist. Three other knees each have a push button and two water nozzles. The mist is in a constant state of flux, sensitive to the slightest changes in wind, temperature, and humidity, and can lower the air temperate by as much as 30°F.